As promised, Texas is suing the U.S. Environmental Protection Agency over President Obama’s plan to combat climate change, Attorney General Ken Paxton announced Friday, just after the new regulation had been published in the federal register. The state is suing as part of a bipartisan coalition of 24 states — including Missouri and Kentucky, which are led by Democrats — that are set to jointly request a stay on the plan Friday afternoon. Paxton has warned that the power plan would dramatically inflate the cost of electricity for consumers and imperil the state's power grid, describing the regulation as a federal "power grab." "It's a major threat to anyone who powers up a computer, turns on a light," the Republican said Friday morning during a call with reporters that was led by West Virginia Attorney General Patrick Morrisey. The attorneys general said they are hopeful that more states will join the coalition. Morrisey said that the state-by-state regulation is already having a devastating economic impact on his coal-producing state, which also has a Democratic governor. "Thousands and thousands of miners have lost their jobs," he said. "The Clean Power Plan has strong scientific and legal foundations, provides states with broad flexibilities to design and implement plans,” she added in a statement. "We are confident we will again prevail against these challenges and will be able to work with states to successfully implement these first-ever national standards to limit carbon pollution, the largest source of carbon emissions in the United States." Citing states including Colorado, Michigan and New Mexico, an EPA spokeswoman said it was important to note that the party and position of a state’s attorney general doesn’t always align with the position of a state’s governor. Environment Texas Director Luke Metzger, meanwhile, described the lawsuit as “unconscionable” given the obvious effects of climate change. "In a month where we've seen new heat records, raging wildfires, and now the worst hurricane ever recorded, it is unconscionable that Attorney General Paxton is fighting this life-saving measure to combat dangerous global warming,” he said. The 24-state coalition filed a petition for review of the regulation Friday morning with the U.S. Court of Appeals for the District of Columbia. “Petitioners will show that the final rule is in excess of the agency’s statutory authority, goes beyond the bounds set by the United States Constitution, and otherwise is arbitrary, capricious, an abuse of discretion and not in accordance with law,” the petition says. "Accordingly, the petitioners ask the court to hold unlawful and set aside the rule, and to order other such relief as may be appropriate." The latest challenge marks a second try for many of the states in the coalition, including West Virginia, which was among more than a dozen that sued over the power plan before the new regulation was finalized in August. A federal court dismissed that lawsuit in June because the rule was not yet final. 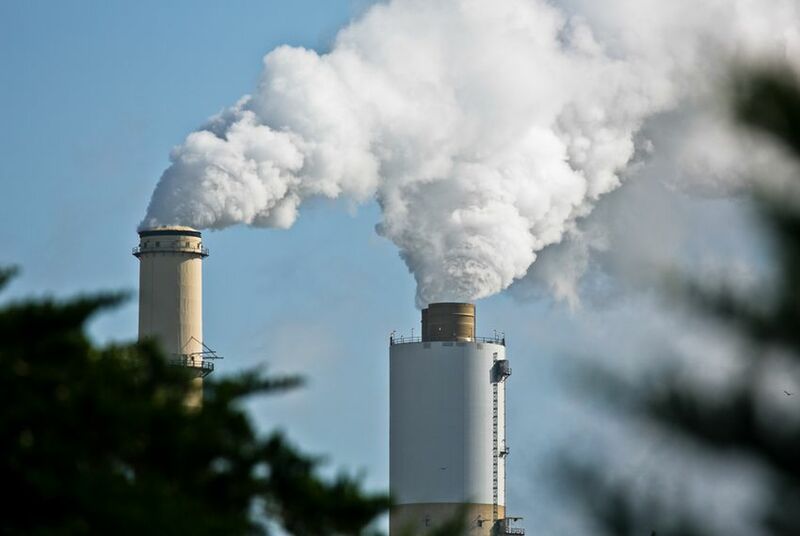 Friday's announcement came as the power plan was published in the federal register, the official journal of the federal government where proposed rules and public notices are posted. Asked why Texas wasn’t part of the initial group of states that sued, Paxton said he wanted to wait until the regulation hit the register. The other states in the coalition are: Alabama, Arizona, Arkansas, Colorado, Florida, Georgia, Indiana, Kansas, Kentucky, Louisiana, Michigan, Missouri, Montana, Nebraska, New Jersey, North Carolina, Ohio, South Carolina, South Dakota, Utah, Wisconsin and Wyoming. Meanwhile, more than a dozen states have backed the regulation with at least one — New York — planning to actively help the EPA in fighting the litigation. Myers was joined on the call by Iowa Attorney General Tom Miller, who said he’s backing the power plan because “I believe climate change is real” — and a threat to the state’s agriculture industry — and because the plan “is really practical and flexible and doable.” He noted the EPA, in its final rule for the power plan, made changes in response to concerns about its draft rule, which included giving states two extra years to comply. Those changes led in part to the Electric Reliability Council of Texas, or ERCOT, recently softening its predictions of doom for the state’s grid and electricity prices, cutting in half its estimate for how much coal-fired generating capacity the state would have to get rid of and lowering its projected percentage increase in electric bills — from 20 percent to 16 percent by 2020. Describing ERCOT’s estimate as “conservative,” Paxton said Friday the predictions still are dire and that he is motivated to fight the plan because it will adversely impact poor people. "Even at that conservative estimate, that has great impact on, especially people that are poor and can’t afford ... higher electricity costs,” he said. “And given the minuscule benefit of these rules, we’re still pushing forward to fight because we know that costs are going up for those people."